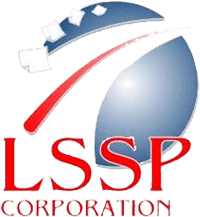 Founded in 2001, LSSP made a strategic commitment to a full suite of Electronic Document Management products. In 2006, LSSP began our Cloud-Based solution on both design and specifications. Our PinPoint Document Management System is completely Cloud-Based, with access from any location in the world, including iPhones, iPads, Android, MAC and tablet devices. Users can scan directly from IE (Internet Explorer), Chrome, FireFox, Opera, Safari. LSSP offers a fully customizable and non-technical administrative approach to building a solution that is an exact fit for your organizational needs. We have multiple document management products, but our most feature-rich is our web-based solution called PinPoint. PinPoint is based on what we have found to be the crucial needs of any business. This includes the ability to streamline many operations and organizations without staff intervention. LSSP has built the system complete with workflow and retention management. A Microsoft SQL database enables full growth to meet all of your needs, regardless of size and access. 23 years in Health Care, including Hospitals, Managed Care, and TPA. Served as CIO for facilities that needed both powerful and secure solutions. He was also in the role of HIPAA Compliance Officer in Managed Care. Over 45 years of diversified project management, corporate and facility management, business development, technical and operational experience. Business lines include: research and development, Utilities Nuclear Power Services and Commercial and Federal Services in fuel reprocessing, and in radioactive and mixed waste processing and transport. Innovated and developed radioactive waste systems, remote handling systems from design through start up and operation; including design and operation readiness reviews. Expertise has resulted in lowered employee exposures, improved handling, superior waste forms and reduced operating costs. Responsibilities for the financial performance in achievement of the corporate goals, along with budget development, and cost control were key to the continued success of varied management position. The financial responsibilities included revenue up to $70 million with operating budgets of $50 million. 17 years of experience in the medical and document management Field. Prior to establishing Medical Billing Accreditation Consultants (MBAC), Carey worked for a New Jersey based company that developed and managed ambulatory surgical centers throughout the tri-state area. At MBAC, Carey manages and/or provides medical billing services to 15 practices with revenues of approximately $25 million a year, as well as document management solutions. Carey also provides health and safety education programs to the health care industry. Graduate of Bowling Green University in Ohio, Kate is the Paralegal for the LSSP Corporation. Over 20 years in Paralegal in the States Attorneys Office in Chicago before furthering her career in Property Management. Worked for ComScope before coming to LSSP.